"In this experimental paradigm, we're able to track all of the neurons that can lead to behavioral improvements and look at how they all change simultaneously," says Steve Chase, an associate professor of biomedical engineering at Carnegie Mellon and the Center for the Neural Basis of Cognition. "When we do that, what we see is a really constrained set of changes that happen, and it leads to this suboptimal improvement of performance. And so, that implies that there are limits that constrain how flexible your brain is, at least on these short time scales." When we're learning a new task, we can't instantaneously learn it to proficiency, in part due to the way in which the neurons are wired up in the brain. Learning takes time, and there are mechanisms by which neurons can change the way they communicate with each other to enable learning—some of which can be fast, and some of which can take longer. 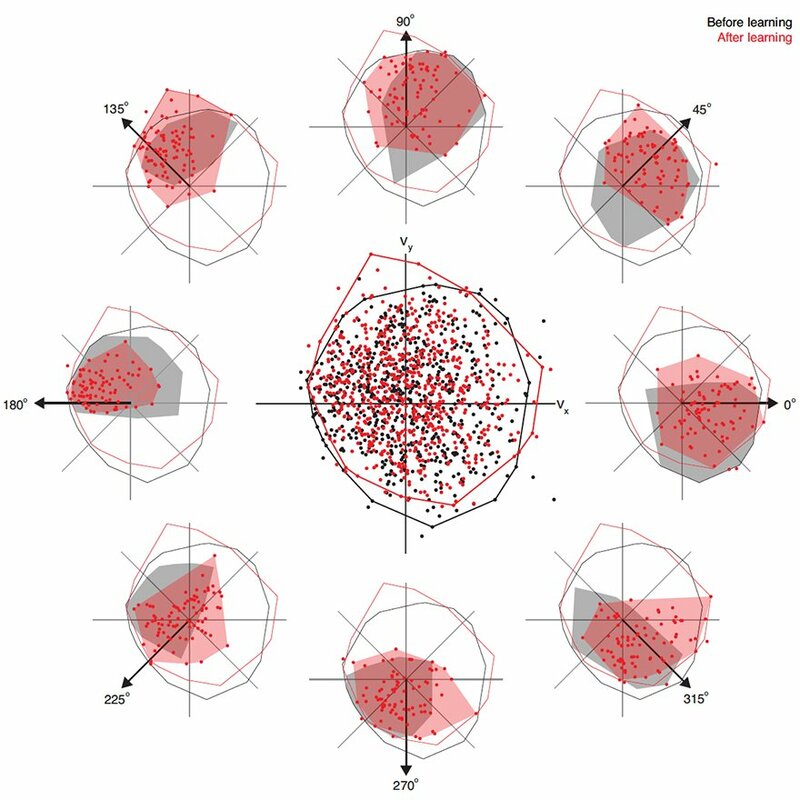 The team found that the brain operates under a more stringent set of constraints than originally thought, resulting in good learning on the short term, but nevertheless suboptimal performance in controlling the BCI cursor. Imagine a tennis player whose friends have asked her to play squash. When she picks up the squash racket, it's lighter than the tennis racket she is used to, and it has a slightly different balance point. But since she's a good tennis player, this difference in rackets doesn't cause her to miss the ball completely. She adjusts quickly, but she hasn't immediately picked up the swing form of a squash player. To really become an expert, it will require a long period of training with the new equipment. However, her experienced squash-playing friends will quickly see that she is a tennis player, because until she's learned the proper technique, she'll be swinging the squash racket the same as she would a tennis racket. "Just as it takes time to train a person to swing a squash racket like an expert, it takes time to train one's neurons to produce the ideal activity patterns," says Byron Yu, associate professor of biomedical engineering and electrical and computer engineering at Carnegie Mellon. "When faced with a new task, we're finding that the brain is constrained to take the neural activity patterns that it's capable of generating right now and use them as effectively as possible in this new task." "When we learn, at first the brain tends to not produce new activity patterns, but to repurpose the activity patterns it already knows how to generate," says Aaron Batista, an associate professor in the Department of Bioengineering at the University of Pittsburgh. "Learning over the course of a few hours is suboptimal. When first learning something new, our brain doesn't seem to be able to change its activity in the best possible way to allow us to be proficient at new skills.."
Acquiring a skill is very difficult, and it takes a lot of time and a lot of practice. But when you're first starting to learn a new skill, your brain has to adjust quickly to the new task. The researchers found that the brain is constrained to take neural activity patterns it already knows and use them for the new task. By repurposing neuron patterns the brain is already capable of generating, the brain applies a "quick and dirty fix" to the new problem it's facing. "None of us predicted this outcome," says Matthew Golub, a postdoctoral researcher in electrical and computer engineering at Carnegie Mellon. "Learning is far more limited on the scale of a few hours than any of us were expecting when we started this. We were all surprised that the brain wasn't able to choose the best strategy possible." 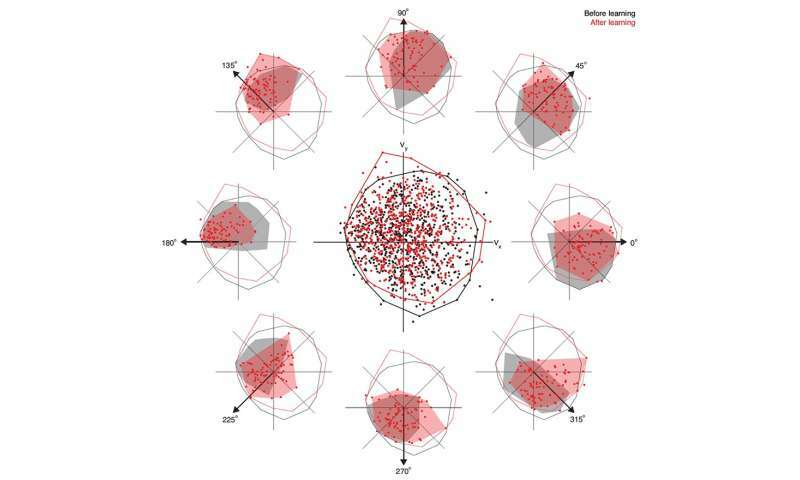 The research was done in collaboration with the Center for Neural Basis of Cognition, a cross-university research and educational program between Carnegie Mellon and the University of Pittsburgh that leverages each institution's strengths to investigate the cognitive and neural mechanisms that give rise to biological intelligence and behavior.